As far as Psytrance acts go you probably can't get any bigger than Infected Mushroom. 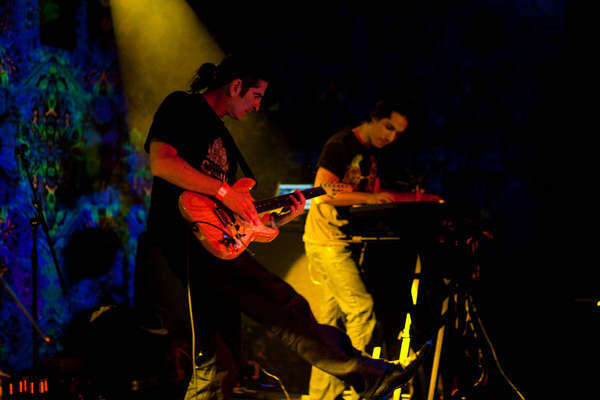 The Israeli fungus group are one of the few dance acts to truely transcend the underground scene and break into the mainstream bigtime. Just typing infected into Google will bring Infected Mushroom as the first choice and who are we to argue with that? This Friday they jet in to London for the Halcyon event at Matter. We sent Paul Jack in hot pursuit to find out how life is for the spore bearing fungus fruits. Good day to you guys, how is life treating the Mushroom? All good I hope? Fantastic! Thanks for asking And a good day to you! Firstly, tell the readers of HarderFaster what you've all been up to since your last appearance at Halcyon in November? Has 2010 been good to you so far, and what have been the highs and lows? Well since the last time we were at Halcyon, we’ve traversed the planet playing parties big and small for party-lovers of all shapes and sizes...It’s been a great year. Our latest album, Legend of the Black Shawarma, has done really well which got us recognition with Billboard and the opportunity to collaborate with artists we really respect like Matisyahu, Jonathan Davis, and Perry Farrell. The ‘lows’ are simply the time we have to spend away from our families  This is why we end up flying in and out of LA every weekend... It’s been a great year overall. 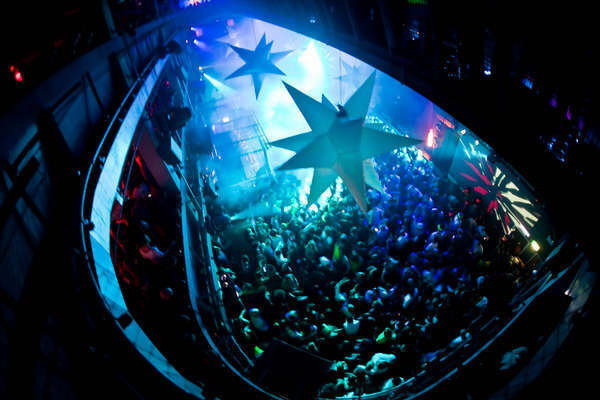 Matter is the newest superclub on the block in Britain, and is fast becoming the venue of choice for some of the biggest names in Dance music. What was your first experience there like, and what are you looking forward to most about this second visit? Also, why do you think it lends itself so well to psychedelic music? Last time was an incredible experience – the place was rammed and the crowed was electrifying... It’s definitely no surprise the venue has become an artist favourite...we are excited to make it back. And anything can lend itself to being psychedelic if the production is spot on – with this place, they spare no expense to make sure club-goers have the time of their lives. How did you find playing to Halcyon, did the response meet your expectations, or exceed it? Are there any DJ's or live acts that you admire, or just downright get you grooving? Who would these be and what is it about their music or performances you like so much. Most successful performers can quote one moment that turned their career into what it is today. What was this for you and when did it happen? Well that’s a tough question... A few experiences come to mind – breakthrough performances at massive U.S. festivals such as Coachella & Baltimore Virgin Music Festival. A performance we had on the beach in Rio de Janeiro for 100,000 people with the Black Eyed Peas also felt like a turning point. And – I’d say The Doors remix opportunities we had were huge too. Like I said, it’s a tough question – we’ve had many amazing experiences that we are so thankful for, and all helped us to get to where we are. You never seem to stop traveling, how are your air miles looking right now? Which country you particularly love visiting? Yes, travelling is the name of our game...We love going to London, of course, Brazil is nice for us, going back home to Israel is fun too – AND Asian countries are great too!! Korea, China, Singapore, Japan....really we love going to every country for its own reason! When do you find time to lock yourselves in the studio and do what you do best? Is there a particular time of year or even day that you feel you are most creative? As I mentioned, we fly back home to LA during the week – so during the week days we can spend with our families, and then once the sun goes down and the kids are in bed, we hit the studio that we built in Erez’s back yard We only work together...never separately. Where do you see yourselves in 10 years, and how do you see the Infected Mushroom sound changing in that time? 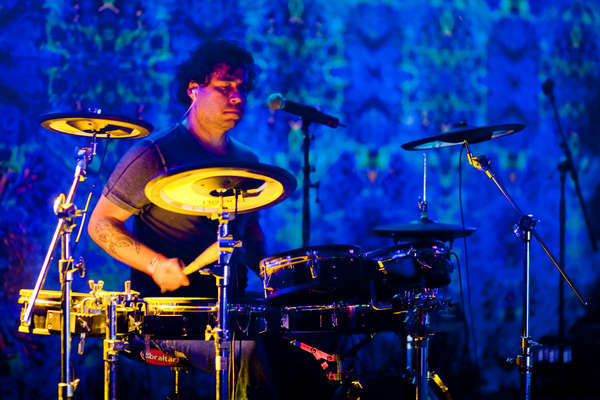 In 10 years, hopefully still touring and making music – but who knows!? I can only hope that life is still as good to us has it has been over the last 10 years. I don’t think I can say we expected to be doing what we are doing now 10 years ago, so that is a BIG ‘who knows!?’. So a promoter rings your agent and says 'we would like you to play a DJ set'; firstly, is this common, and secondly, is it nice to have a break from the norm? What would you say are the positives and negatives of DJing over playing live? You're headlining Halcyon again on the 21st May, and once again the guys at Halcyon Island (yes, they own an island and that's where they work, honest!) have come up trumps with a line-up that fuses stars like yourselves with lesser known, raw talent for the future. Anybody on that line-up you've heard good things about and want to catch? Don’t know the line-up yet, who should we look out for? What's happening with you musically at the moment? Any new material we should keep our ears peeled for at the Halcyon that you're particularly excited about playing? Photos courtesy of Vickie Parker. Not to be used without permission. More: Halcyon sold out in November, Halcyon sold out in March! another sell out for all you lucky Halcyon ticket holders! see the number 1 psychedelic band in the world! 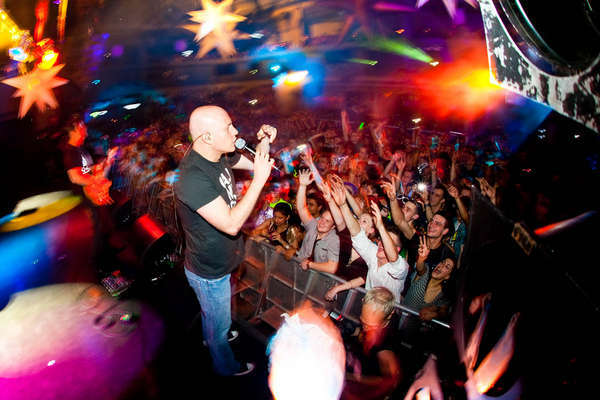 In rooms 2 special guests Braindrop..
epic parties held at some of London’s top raving arenas! Would like to hear the collab with Matisyahu!